Nationalism has been one of the most dynamic yet dangerous ideologies in modern history. Politicians encourage us to think that national frontiers are firm and unchanging, central to our identity. But in this session, members of the History Faculty reflect on the porous nature of borders. With Professors David Reynolds, Chris Clark and Dr Joya Chatterjee. Until recently, a bronze plaque in Sarajevo commemorated the moment in June 1914 when the young Bosnian Serb nationalist Gavrilo Princip assassinated an Austrian Archduke and took ‘the first steps into Yugoslav liberty’. National tensions wrought havoc on the Balkan peninsula in 1912 and 1913 and triggered the outbreak of the First World War. After the collapse of Soviet power, they helped to bring about the dissolution of the Yugoslavian state. Chris Clark unravels the legacies of a region in which political borders and cultural identities have never coincided. The British Raj came to an abrupt end in 1947 but millions of people in South Asia are still living with the legacies of its break-up. Joya Chatterji unravels the tangled story and the nationalist mythologies spun around it. A schools project she has developed in London with migrants from Bangladesh shows how a clearer understanding of the past can promote reconciliation in the present. The events of 1940 cast a long shadow over modern Europe. They drove Britain away from the continent, just at a time when it had been drawing closer to France. Across the Channel, however, the appalling legacies of 1940 for France and Germany persuaded these two countries to transcend their long cycle of border wars and forge an unprecedented European Community. David Reynolds reflects on the frontiers of the mind that often matter as much in history as visible national borders. The event is free but booking in advance is required. Bookings open on 23 September at 10 am. 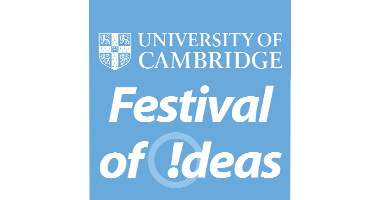 This event is part of the Cambridge Festival of Ideas which runs from 23 October – 3 November 2013.